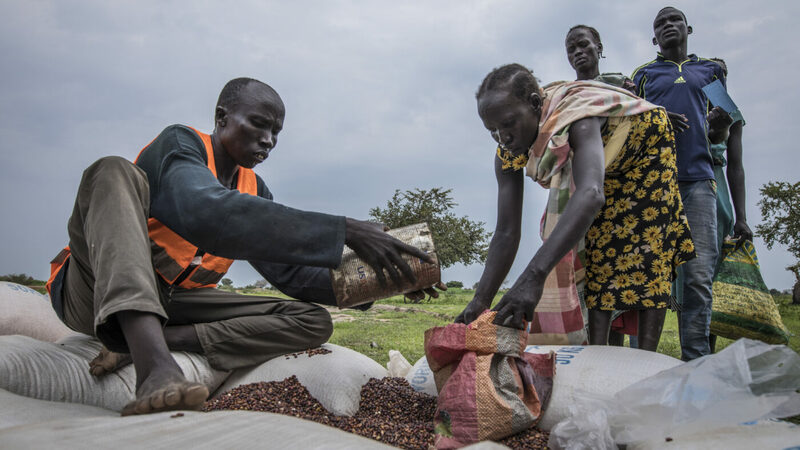 WFP builds resilience among the world’s most vulnerable people, who are often at the mercy of powers beyond their control. Around the world, 8 in 10 food-insecure people live in degraded, fragile or shock-prone environments that are the most exposed to the effects of climate change. 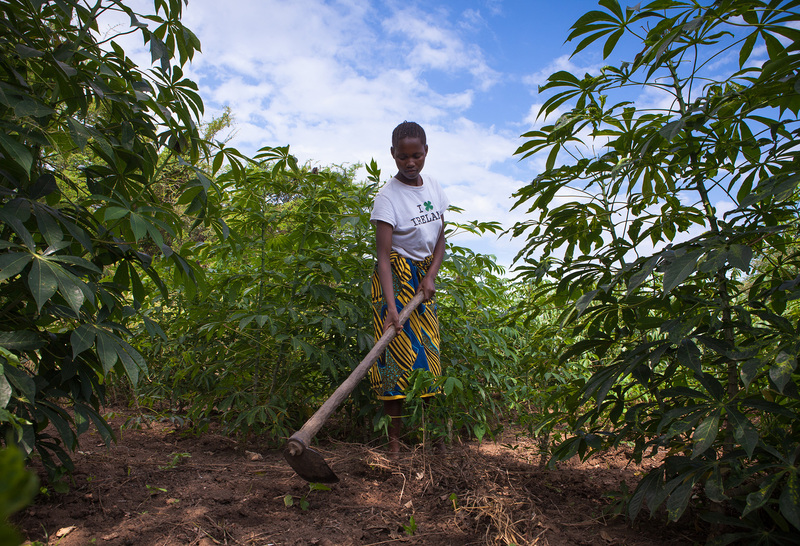 Farmers on small patches of land are barely able to grow enough food to eat. Their livelihoods are so fragile that they can’t afford to risk experimenting with new agricultural techniques. People who live in poverty-stricken communities hit by flooding or drought are too busy looking for food to rebuild the infrastructure that’s so vital for redevelopment. With Food for Assets, WFP provides lifesaving food in exchange for work on community assets like roads, dams and irrigation system. The community-centered approach has extra benefits like promoting nutrition, gender equality and social protection. 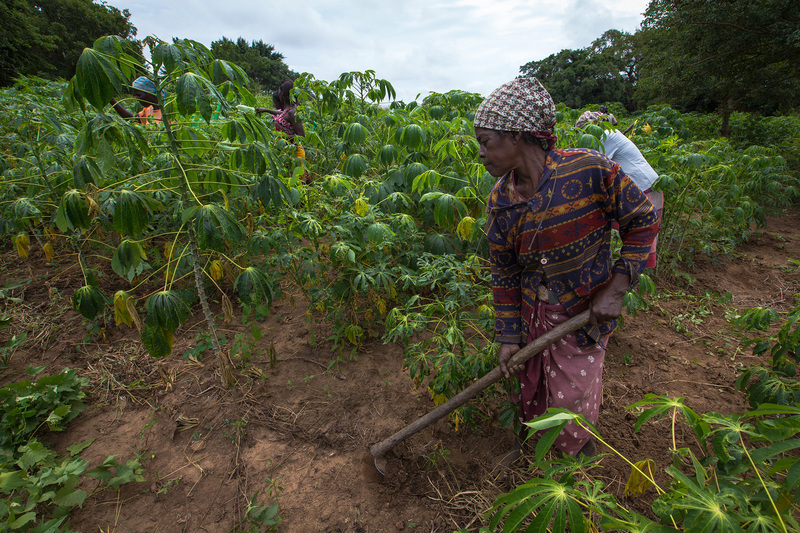 Women farmers in Mozambique tend to their cassava crops as part of a seed multiplication project. The project was implemented to build their harvest's resilience to climate change. 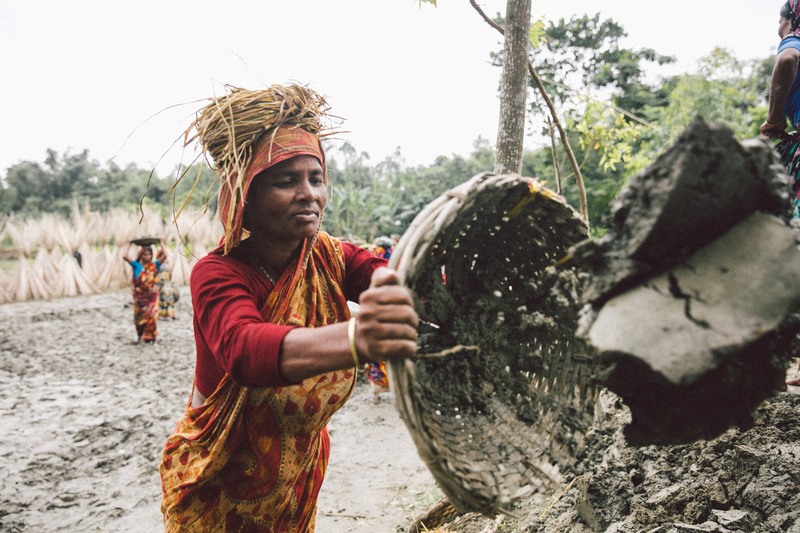 Villagers in Bangladesh build and raise an embankment to protect their land and homes from intense monsoon floods. The participants receive food and cash assistance from WFP in return for their work. You can help people build resilience by equipping them with tools they need to be successful and self-reliant, year after year. Drivable roads facilitate commerce and strengthen local livelihoods. Clean water and sanitation systems cut rates of disease and allow people to safely prepare meals. Harvesting rainwater, terracing crops, and other sustainable practices reduce the negative impact of future natural disasters. Together, this work helps people build resilience and reduces the likelihood they’ll need humanitarian assistance if catastrophe strikes again. Food for Assets will be more essential than ever in the years to come as climate change intensifies the effects of natural disasters. I want to help build a sustainable future. Global hunger isn’t about a lack of food. Right now, the world produces enough food to nourish every man, woman and child on the planet. This World Food Day 2018, we’re excited to announce the three recipients of the Fall 2018 Catherine Bertini Trust Fund Awards. Between 5 and 9 million people in the African Sahel may need emergency food assistance from WFP as farmers await their next harvest.